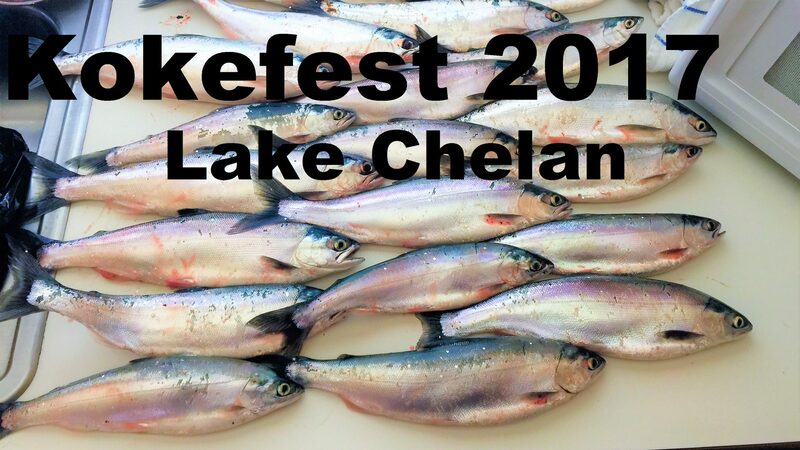 I have yet to meet a serious kokanee fisherman which didn’t like collecting kokanee tackle almost as much as using it. 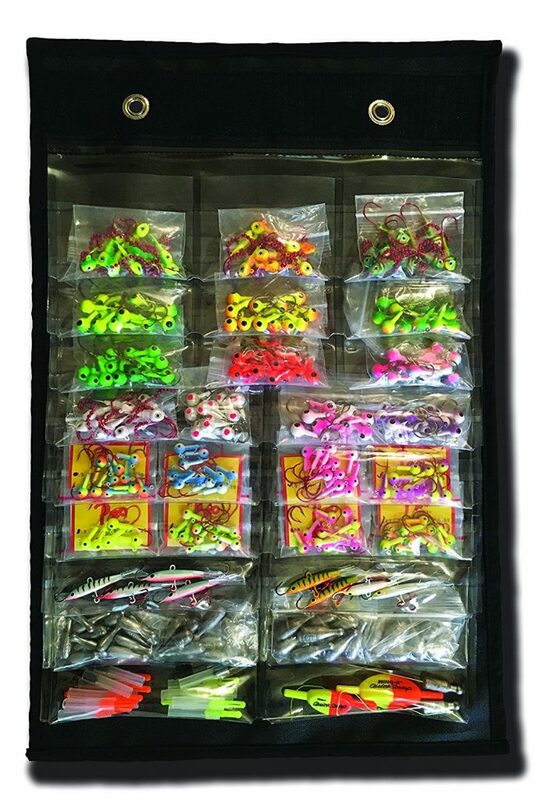 Which leads to the problem of how do you store and organize all those lures. Lures stored with leaders attached – like wedding rings or hoochies – can be especially hard to store well, since the line can get tangled with other lures and worked into knots. Kokanee fishermen also love collecting dodgers to pair with their lures. If you are looking for dodger storage options check out the article on that. I’ve tried a number of things over the years and finally found a few that work really well and feel like I can recommend. A cheap and easy option is to use zip lock bags. 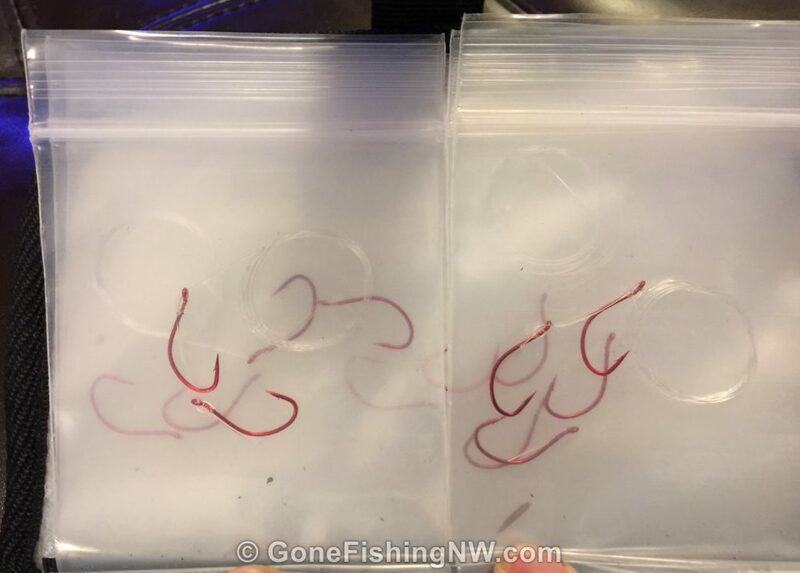 The small 2×2 bags are perfect for leader rigs. Simply put one lure in each baggie and seal tight. You can put the baggies in a plano box to keep them together – perhaps organized by lure type or color. If you are looking for a cheap and simple way, this works well. It keeps the lures separate and dry, as well as its easy to see the lures. 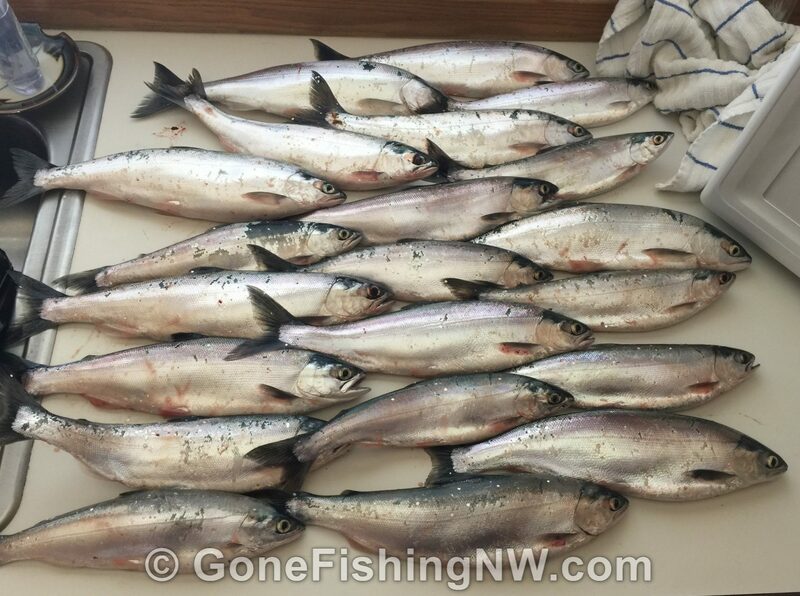 So if you are a starting kokanee fisherman this can be a great option – as long as you recognize that eventually you’ll need to move to something else. 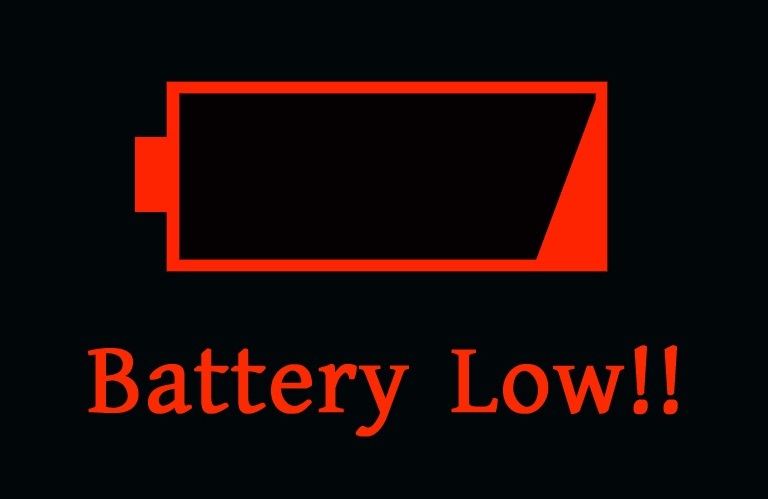 There are a few downsides. The bags are easy to lose, and empty bags can easily fly out of the boat if the wind kicks up or you forget to store them before getting up on plane. The bags may also be hard to store unless you squeeze the air out of them when you seal them. It can also be hard to keep the line from getting in the way when you seal the bag – especially if the leader material is stiff or cut too short to coil up. It may also be hard to fit larger lures in the bag. Leader wallets or binders are a step up from zip lock bags. The typical wallet contains a set of zip lock bags, sometimes a variety of sizes. The zip lock bag material is a thicker grade plastic than disposable baggies, which means it isn’t going to rip and the hooks are less likely to puncture it. 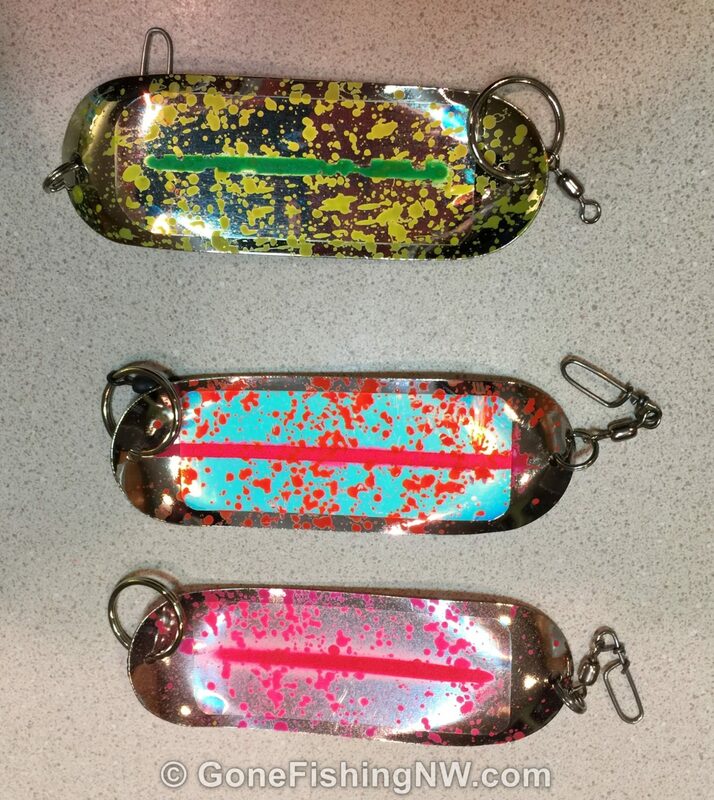 You can group similar lures in a single wallet, and have multiple wallets for different styles or colors of lures. Most wallets have a place to label what is inside them so you don’t have to open each one. In the larger pockets you can usually store 2 lures without them tangling too badly – as long as you have the line coiled up and secured. Like the disposable zip lock bags they keep the lures separate from each other and dry. But since they are attached to the wallet you will not have to deal with loose bags in the boat, or flying out. The downside of the leader wallets is that they don’t scale well. If you are storing a dozen or two leader rigs, then they work well. But as the number of rigs grow, you’ll wind up with many wallets in the boat. The larger pockets work well for larger lures, but bulky lures, such as a Kokanee Cut Plug, can make the leader wallet bulge out. The wallet might also squish lures like hoochies. There are a few things I really enjoy using these wallets for. First, they work great to keep your favorite dozen rigs handy while fishing, while your backups sit in the tackle box. If on a friend’s boat you can take a wallet or two rather than your whole collection of lures. Second, I like to keep my spare leaders on them. The spare leaders just have hooks tied on them – but no beads, hoochies, etc… If I need to tie something up on the lake, or if line on an existing leader gets too torn up, then I can take out a spare, slide the beads on it and I’m good to go again. If you really like foldable dodger organizers then you’ll love the Crank Canvas. It comes in multiple sizes and like a dodger wallet contains many small zip lock pouches for your gear. When all laid out you can see all our lures at once, so you can pick the perfect one. For storage the canvas rolls up, and can fit in a boat storage compartment. As you may have guessed from the name it was originally developed to hold bass fishing crank baits. Which means that unlike a flat dodger wallet it works well with larger kokanee lures such as Apex lures, Flatfish, Maglips, Kokanee Cut Plugs, Wee Tads, well you get the idea. I haven’t used these myself, but they look like they would get the job done well. Given the price this doesn’t seem like something a beginner should get. 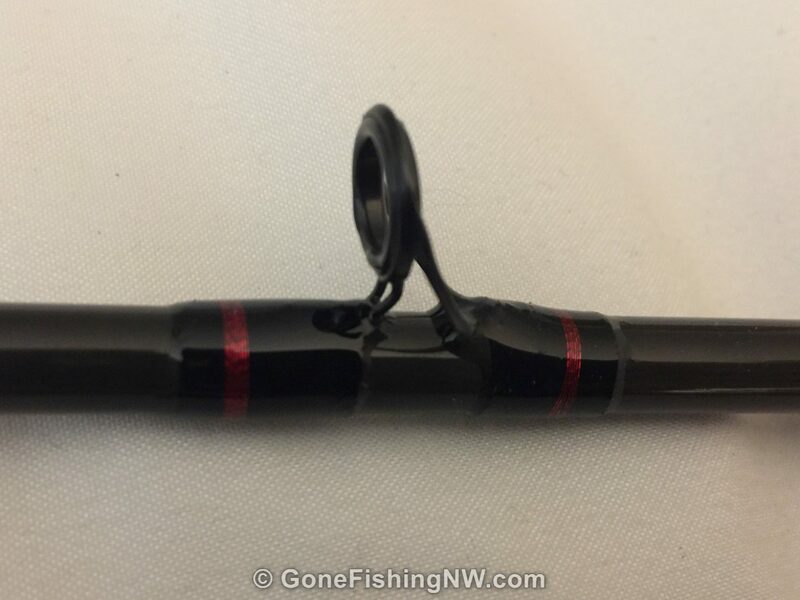 If you are a salmon or steelhead plug fisherman I could see one of these working well for holding Maglips, Hotshots, Wiggle Warts and Kwikfish. I can totally picture a rolled up canvas sitting off to one side in a drift boat. The advantages of the canvas is that it allows you to see many lures at once, can hold larger lures and rolls up nicely for storage. 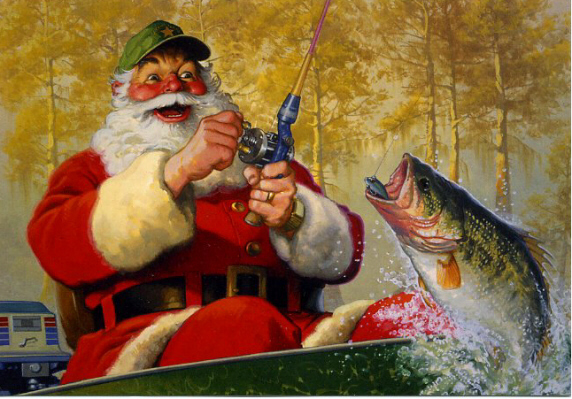 The main drawback is the higher price point, and that wet lures will not dry out in it. The plain old plano box with lots of small compartments can be a good storage option, and allows for a mix of leader rigs with other tackle – in different compartments of course. I coil up the leaders, and then secure them with a twist tie. Then each lure in its own compartment. 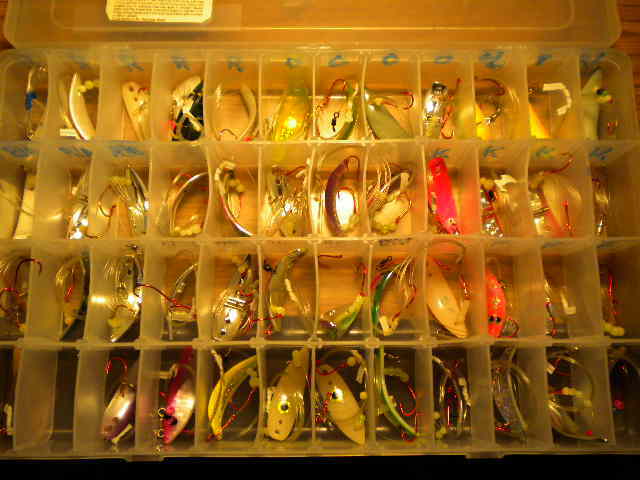 One thing I really like about plano boxes is that I can have many of them each with its own theme of that lures it has. Then I have a tackle bag which holds many boxes, like this tackle bag. Then, depending on what I’m fishing for, I select which plano boxes to take with me. The extra boxes I keep at home in a plano box carrier. 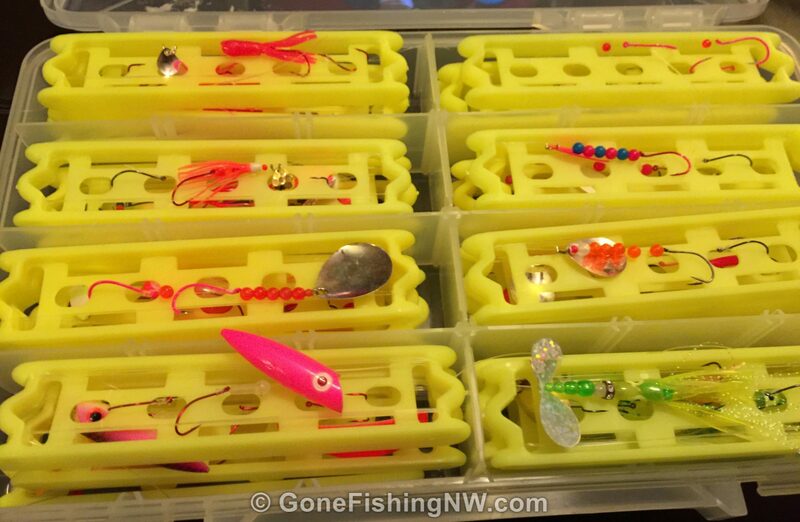 I really like how the plano boxes work with the storage for my other lures – such as plugs. I also like how I can have a mix of things in them, like spare hoochies, beads, swivels, and so forth. I can also quickly see all the lures just by looking at the box. The downside is the little coils of line. Having to keep around a bunch of twist ties, and sometimes the coil will tangle on itself when unwinding it. Leader rolls are very popular storage for leader rigs. It starts with a foam tube, like a pool noodle or pipe insulation. Then one wraps your leader rigs around it. The dollar store is a great place to buy the pool noodle, and hardware stores carry pipe insulation. The tag end can be secured multiple ways. One way is to make a small slit in the tube with a knife and then push the tag end into it – holding it in place with friction. Another way is to tie a loop knot on the end and then use a small piece of toothpick to secure it. My favorite way, however, is to cut paper clips in half, so you have several little U shape pieces of wire. Then you can push these into the foam, trapping the line in the bend of the U. Spare Us can be stored at the end of the roll. Pool noodles and insulation are cheap and easy to use, but they don’t store well with the rest of your tackle. You need a separate bag to keep your leader rolls together. I like using a dry bag, so my leaders don’t get wet. If you are a fan of the plano boxes like me, then there are commercially made leader rolls which fit in a box, like the one made by Lindy. Or you can get the deep plano boxes for thicker rolls – however those use up more room in your tackle bag. Personally I’m not a big fan of the leader rolls, as it is a bit of a pain to wind/unwind the leader on the tube, but some people really like them. The only place I really use them is for side drifting leaders, where I can put them on a leader tree to quickly be able to pull leaders off. Like the leader wallets they don’t scale very well – as the number of lures grow so do the number of tubes until you need an even larger bag to carry them around. So it is a great place to start, but eventually you’ll likely out grow them. Foam boards are one of my favorite leader holders – especially for bigger lures and longer leaders. It is very similar to the leader rolls, only they lie flat, so they are easier to store. There are some cheap leader boards available, however they tend to be on the small side and I haven’t found any designed around the dimensions of a plano box. But River Guide Supply makes a nice one that fits perfectly in a 3700 plano box. Nine of those foam boats will fit in a deep 3700 plano box. That is a total of 54 lures which can be stored. Some people like making their own foam boards by buying bulk foam somewhere and cutting it to size. I’ve looked at that option and my feeling is it wasn’t that much cheaper. I spent $30 for the 10 foam boards already cut to size. The bulk foam I found was in the $15-20 range, so not that much of a savings. To me the extra bit of money was worth not having to mess around with cutting the boards and cleaning the resulting mess up. What I really like about the foam boards is that they keep everything separate, they group similar lures together and work with my plano box system. This is one of my favorite leader storage approaches. These work well for both beginners and the totally obsessed as the individual boards are fairly cheap, and you can just buy as many as you need. 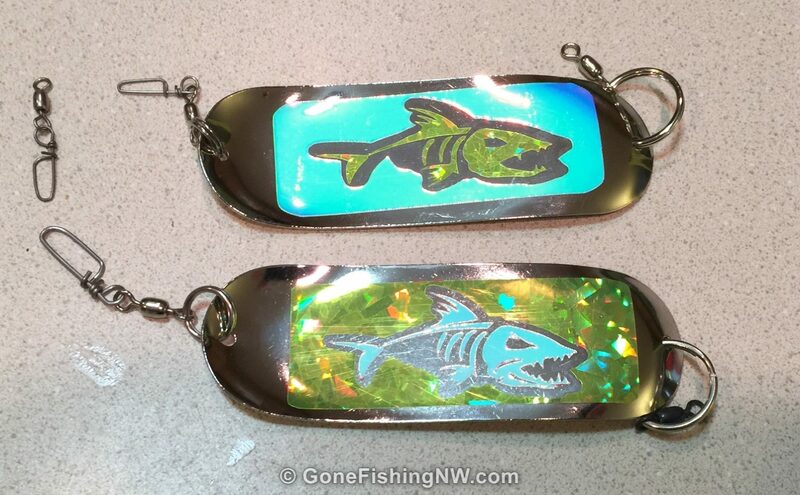 They can hold both small lures, like wedding rings, and larger ones like hoochies. The plastic snell rig holder is now my go to setup for kokanee leader rig storage. With this one up to 18 snell rig holders fit inside a single 3600 plano box (or 32 in the 3700 size box). Each holder supports 2 rigs. That is 36 rigs in a 3600 size box, or 64 in a 3700 size box. 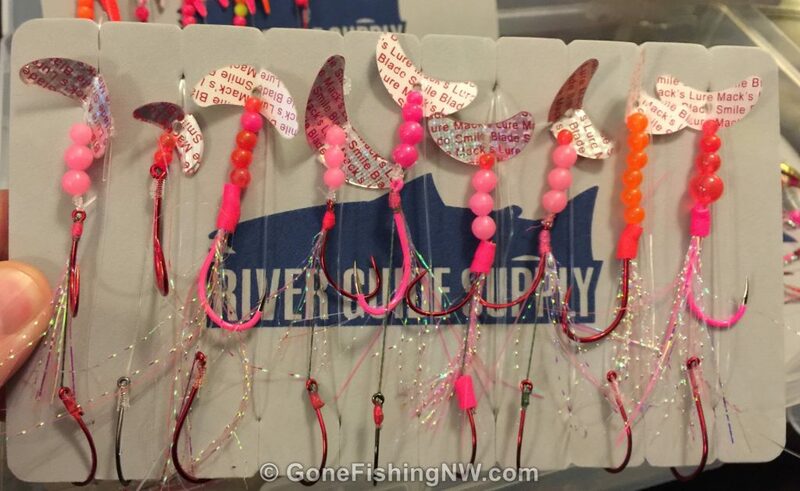 That should be enough pre-tied rigs for even the most obsessed kokanee fisherman. 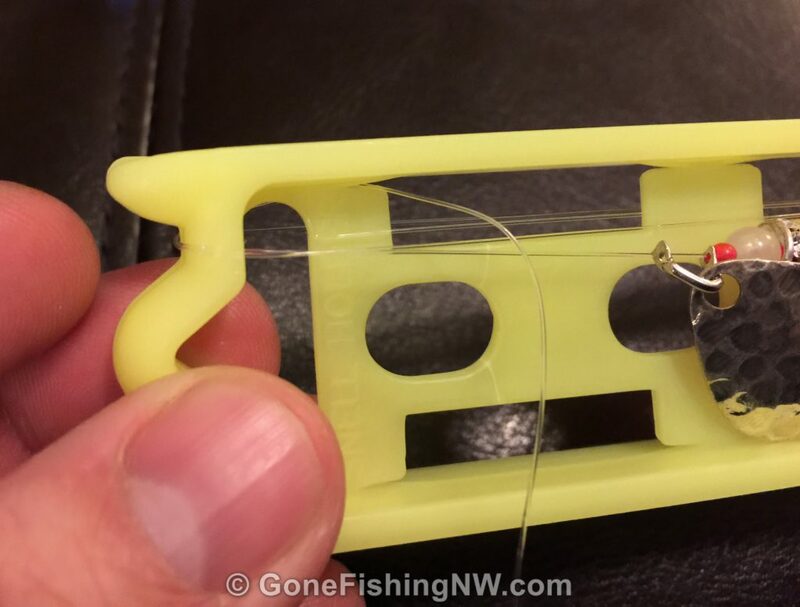 The snell rig holders have little “line grabbers” periodically on them, which make it easy to secure the tag end regardless of length. For those high tech DIY people, Thingiverse has plans to 3D print a snell holder. Not only can this be cheap, but you can scale the holder to whatever size of box you want to put them in. 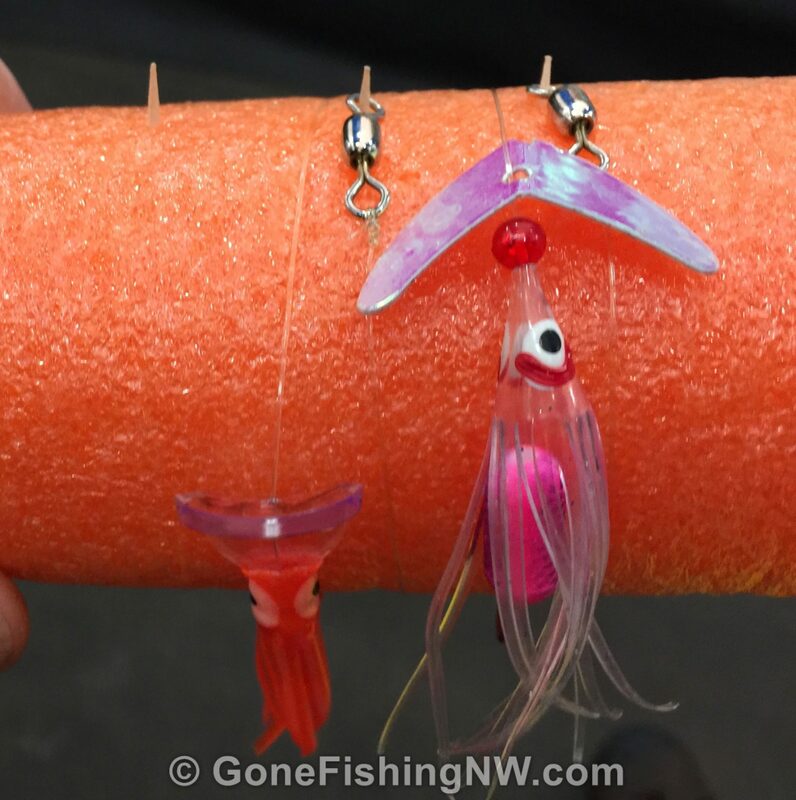 Something to think about – especially if you are looking into leader storage for salmon hoochie rigs. A scaled up snell holder would work really well for those, I bet. 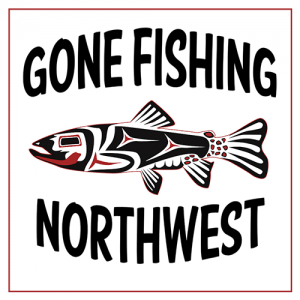 In my opinion this is the best storage option for the obsessed kokanee fisherman. 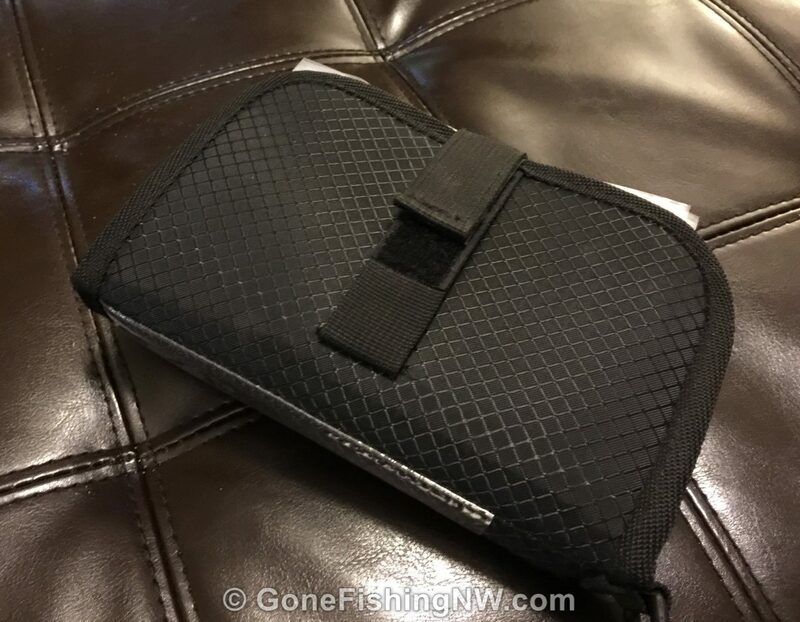 It is reasonably priced and allows you to store a huge number of lures in a single plano box. The lures don’t tangle with each other, and it works decently well for larger lures like hoochies or Kokanee Cut Plugs. 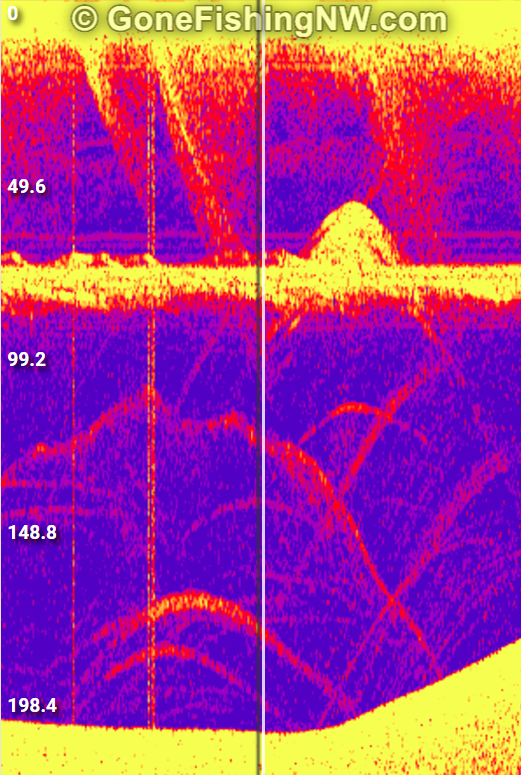 The main drawback is you can’t see all the lures at once, since they stack on each other. 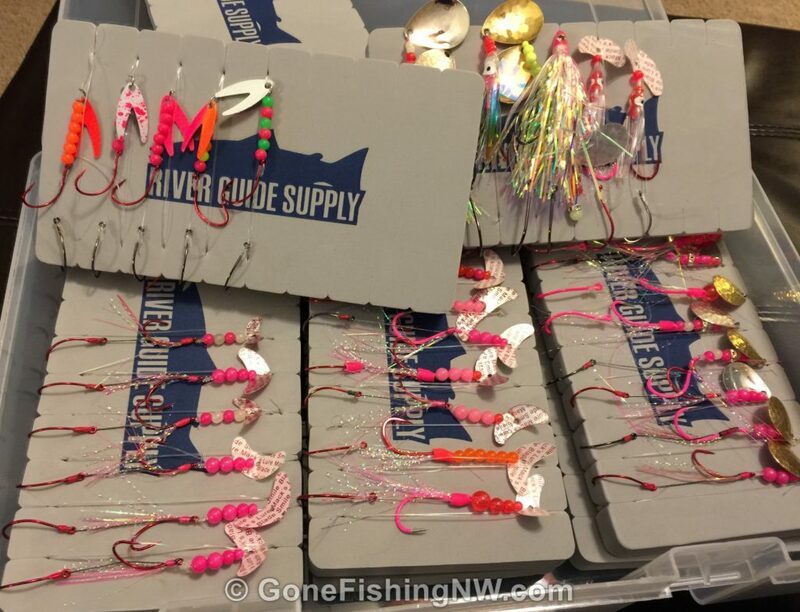 However if you give a little thought and stack similar lures on each other then you will not have to go through much of the box to find what you are looking for. Well organized tackle – both leaders and dodgers – can make your fishing trips more enjoyable and catch more fish. By keeping your tackle in clean and usable conditions you can minimize downtime when switching lures. 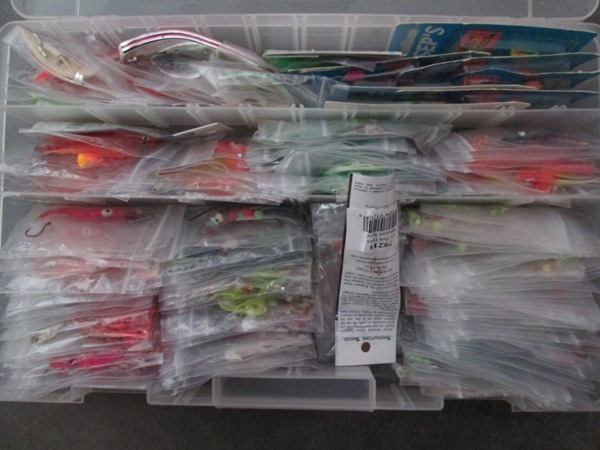 Organized tackle can also mean that you come to the lake better prepared to fish. I hope this article helps you choose a storage option that works well for you, and is in your budget.